Depend on us since 1998. Call family-run Snell Heating and Air Conditioning Omaha for furnace and AC repair, maintenance and installation. We service. We sell. Specializing in furnace and AC systems, heat pumps, air purifiers and humidifiers. Get connected with a super smart thermostat and a modern UV air cleaner. Financing is available with approved credit. Convenient online scheduling. Choose date/time. Ask about our biannual savings plan. Our base is in Gretna, Nebraska. Our focus is residential and commercial heating, cooling and ventilation services in Omaha, Elkhorn, Gretna, Ashland, Papillion, Bellevue, La Vista, Offutt Air Force Base and in Springfield, Nebraska. Independently-owned and operated, we concentrate on giving high-quality, thorough service, with friendly customer care. 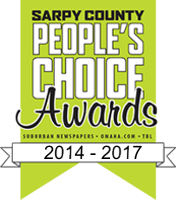 Our A+ BBB rating reflects our commitment, as does recognition in the Sarpy County People’s Choice contest from 2014 – 2017. Thank You! “We actually turn a wrench and tune up your system,” says Jerry Snell, owner of Snell Heating and AC. For utmost system effectiveness, efficiency and longevity, Snell Heating and A/C recommends annual air conditioning inspections by our certified Omaha HVAC technicians. 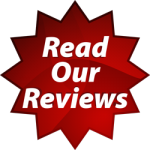 We thoroughly clean and inspect your system and make Omaha AC repairs when necessary. 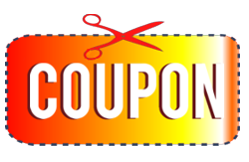 As reputable furnace A/C repair Omaha Neb providers, we install, maintain and fix all makes and models. We accept most major credit cards. Financing is available with approved credit. Snell is an outstanding company. Professional, on time and extremely knowledgeable. They installed two systems in my 100-year-old Dundee home, works perfectly and couldn’t be happier. Few people can do this level of work. They are professional, on time, and most importantly industry knowledgeable. They exceeded expectations on every level. I am an extremely prickly client. I just wanted to send a thank you note to tell you what a great experience we had today with Ed. He was so polite, friendly, and really did a great job at explaining our situation. I really felt like he was someone I could trust, which is huge in your business. You’ve got a great employee in him, and because of that now you have a loyal customer. Please pass along our thanks! Amazing service. When my AC went out, Jerry dropped everything to help me. I will never call anyone else! I was a little stressed when my furnace went out in the middle of the night during an Omaha blizzard. So, I phoned Jerry Snell. He came to the rescue at 2 a.m. Thank you Jerry! For Omaha Furnace & AC Repair, I’ve used Jerry Snell for 13 years at my home and at my business. He’s very thorough. He did a great job. You need anything HVAC done right, call him. >> Do I Need A Humidifier?